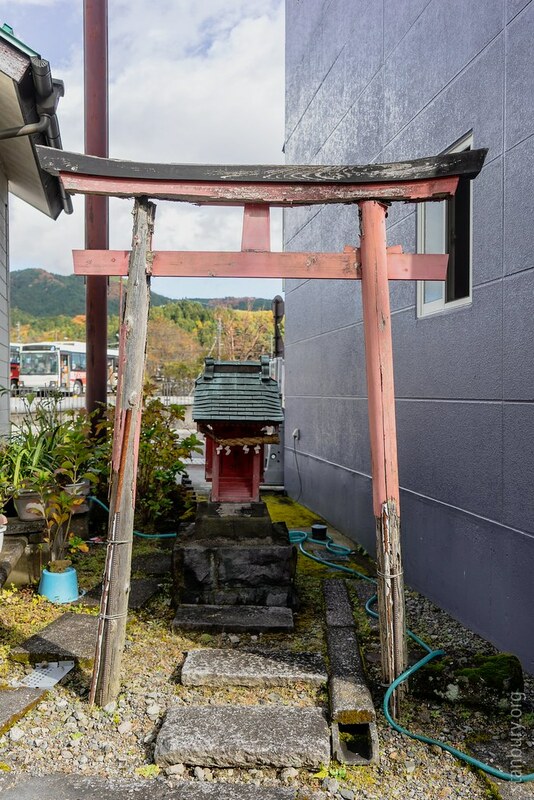 On our last day we were moving out to get to Matsumoto and I had some time before the train left to walk a block or two around the railway station to record the ordinary. 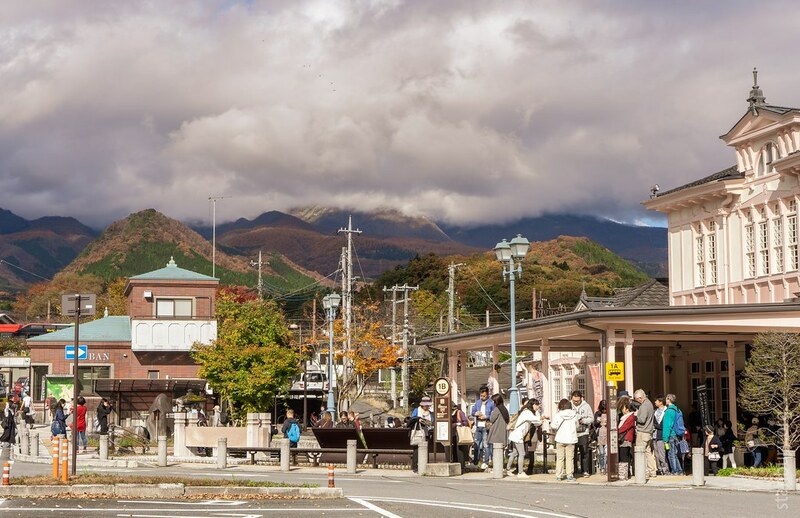 The Japan Rail station is at the bottom of the town and the surrounding hills probably make an excellent show of colour at the right point in the season. By now the first train of the day had arrived and people were queuing to catch the bus to the temple areas. 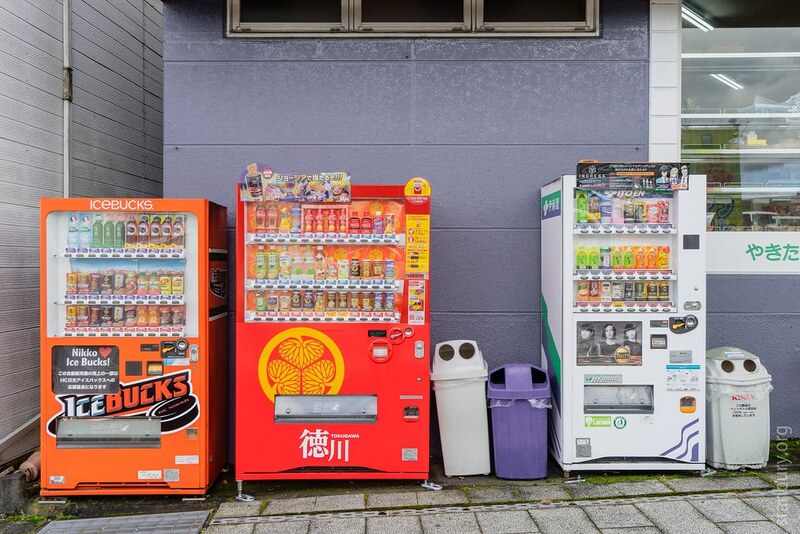 Vending machines are ubiquitous in Japan and presumably don't suffer from vandalism. These offer all manner of soft drinks and coffees, ranging through Tokugawa Design Coke bottles, French-flag bedecked Volvic water bottles, fruit juices and European and Japanese coffee brands. A lot of Japanese streets are messy with AC units and wiring everywhere. There are improvised blinds here, and pots of plants on door steps brighten things a little. Nestling between two houses, it looked in need of a lick of paint and some TLC. 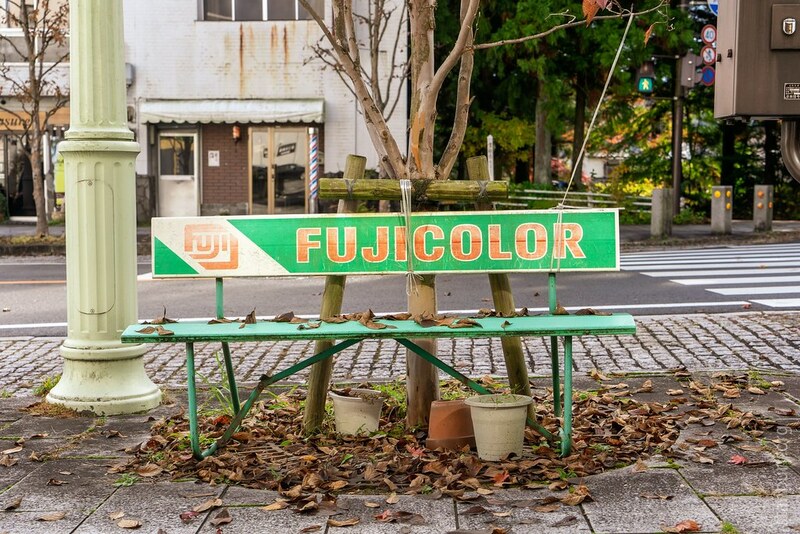 There was no sign of a camera shop nearby, but this bench had clearly seen better days. This autumnal scene was a metaphor, I think. 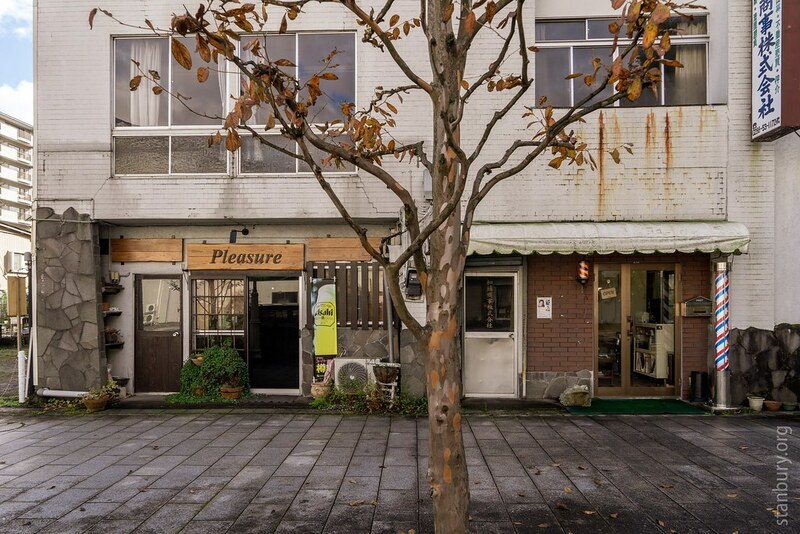 I think Pleasure was a bar or cafe; next door was a barber. Thanks again for looking and for your kind comments on previous posts. Part 6 is here and there are links in every post back through the chain. We visited Nikko on our first visit to Japan. 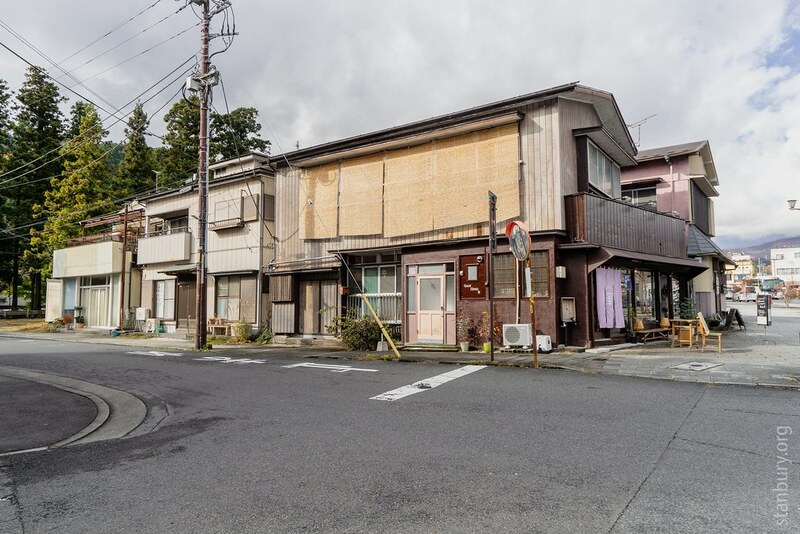 We went because a website said it was a good day trip from Tokyo but we were completely unprepared for what we saw there. This year we had been hoping to attend some matches of the Rugby World Cup in Japan, but we couldn't get tickets - the two matches in Kamaishi, despite featuring the some of the lowest ranked teams, were the first two matches to sell out, even ahead of the Final and the matches featuring Japan! This means that this year's trip is looking for a different itinerary. 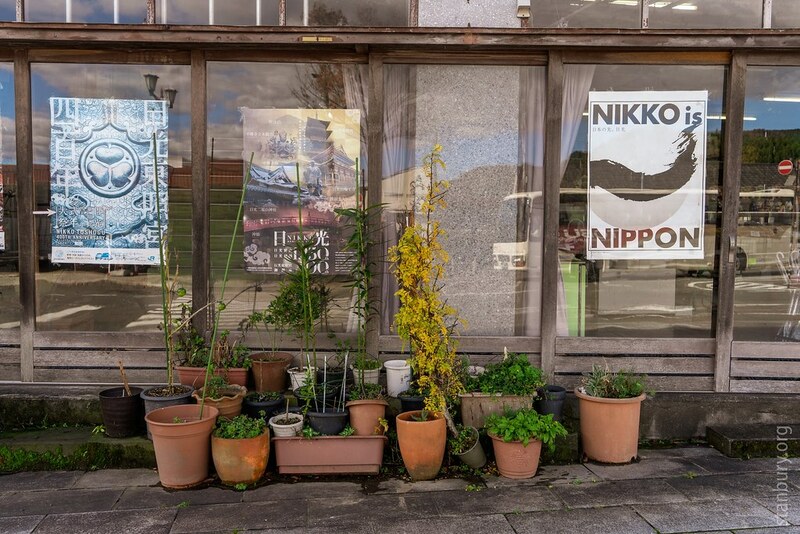 This series has prompted me to revisit Nikko, this time giving it more than just a day trip. "Colorful" set, Howard, but in a figurative sense (pleasure, blinds, pots ...). And I am sooo thankful for #2 (do you also have nightshots of them?). I can only say: I love them all - a beautiful and fascinating look on everyday Japan. Atom Ant, I can't say I was hugely prepared. We were on a self-guided tour with arrangements and notes put together by a company here in the UK (and Japan). I thought I could wing it when I arrived in the places but there was so much to see and relatively limited time and stamina. I have rabbitted on about the first and third shoguns (because I am researching what I saw when I took the photos) ... but have I missed something about the second? It's a busy time in Japan, what with the rugby soon and then the Olympics next year. Catch it while you can! Harald, alas that is my only vending machine photo, but thanks for your encouraging remarks! I have rabbitted on about the first and third shoguns (because I am researching what I saw when I took the photos) ... but have I missed something about the second? The second shogun can be found in Zōjō-ji in Tokyo (in present day Shibakōen near Tokyo Tower). This temple had quite a strong link to the Tokugawa clan during their shogunate. Be careful with the rabbits. It is very easy to lose yourself in a rabbit hole if you get too interested in this period of Japanese history. Even your Japanese friends will start looking at you strangely if you get hooked. Thanks for this - I see that *six* of the Tokugawa shoguns were buried there ... . I have gone back to my photos from the Tokyo Mori Art Gallery in the Roppongi Hills and I can just make out in the early night shadows the shape of the temple. Perhaps I can tick that one off the list? You're ahead of me there; I couldn't have told you that, let alone which six. I quite often stay about five minutes walk East from Zojo-ji so I really have no excuse for not having sufficient research.